Many clients feel overwhelmed with choosing what to wear for their sessions. I have been there before. It’s a common concern. Working with me means that I am with my clients from beginning to end. Not only do I help you with choosing the perfect location for your session, I am also here to help you choose what to wear. Together we work to create a plan for capturing the images you desire and once your images are ready, I come to your house and help you select gorgeous heirloom quality wall art for your home. Working with me as your photographer is an easy and simple process, and clients always have fun! I know how important these images are, and I want you to be extremely pleased with them. Here are some tips on what to wear and how to make the most of your session. KEEP IT SIMPLE & COMFORT IS KEY – Let me first start by saying that the number one most important thing is that everyone is comfortable in what they are wearing. Comfort is key! No one enjoys wearing a garment that is too tight or itchy. Keeping it simple also means sticking to just a few colors and pieces that your family feels good wearing. THINK ABOUT HOW YOU WILL USE THESE IMAGES – Consider what kind of look you want for these photos. If your plan is to hang a huge 20×30 canvas in your living room or a wall gallery of framed canvases or prints, be sure the wardrobe and color scheme you choose goes well with the colors, style and interior of your house. While bright colors are always fun, I do recommend soft neutrals more often because they are classic and timeless, and will look good in almost any home. Stay tuned for my next blog post which will go over the many options for printing your images. I’m a firm believer in tangible prints and high-quality artwork to be enjoyed in your home for years and years. COLOR SCHEMES – Choose a color scheme that will be complemented by the session location. 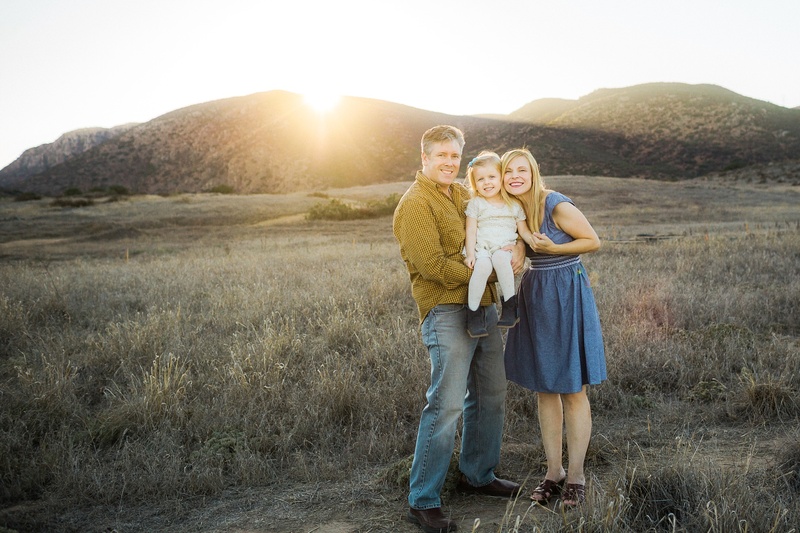 Most of my outdoor sessions are at beautiful open fields with mountains, woodsy forests, wildflower meadows, or sandy beaches with reeds and iceplant. Blue is my favorite neutral because it works well at any location and it looks great on everyone. The following color schemes work well at any of these locations because they are soft and neutral: blues, cream/white, grays and browns / gray, blush, blues and browns / blues, mustard yellow, brown and cream / blue, cream and yellow. While the look of wearing matching white shirts and jeans is way out of style, it’s always a good idea to stick to 3-4 colors at most to coordinate outfits without being too matchy-matchy. 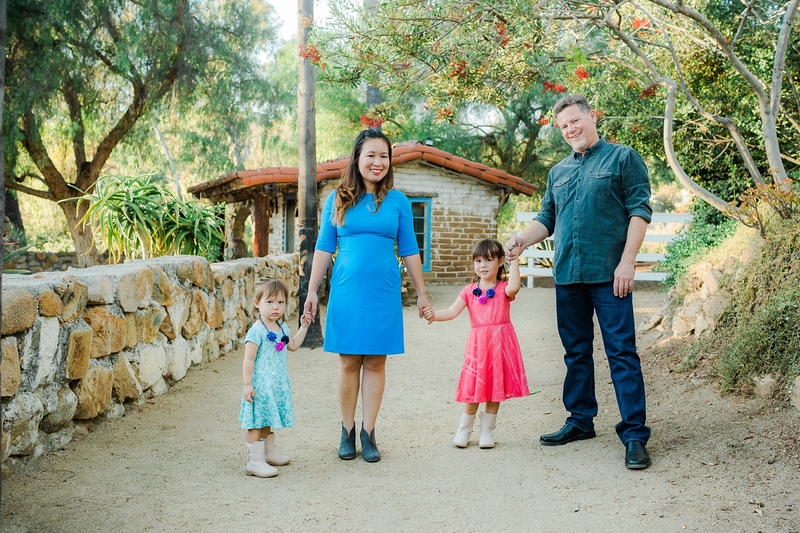 I love how much fun this family had incorporating bright colors with some punch for their session at Leo Carrillo Historic Park. WHAT TO AVOID – Stay away from too much black and stark white (a little bit is ok), green (usually a lot of green already at the location of your session and we want you to stand out), bold & busy patterns, logos/graphics, Croc shoes, flip flops, athletic tennis shoes (Converse and Vans are great though! ), brand new haircuts (what if it’s too short?) and spray tans (just say no to looking like an oompa loompa!). 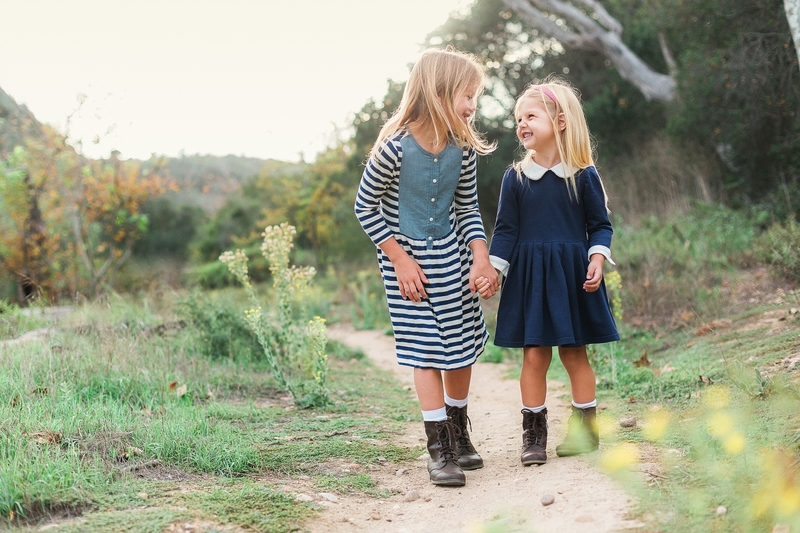 SAY YES TO…..chambray, denim, subtle stripes/plaid/polka dots, layers (cardigans, jean jackets, scarves, leggings underneath skirts/dresses for little girls), flowy dresses for girls (these work especially well to show some movement in your images), puppies (just checking to see if you were paying attention). 😉 I love how this family layered denim jackets on Mom and baby to go with their chambray, linen and blue check ensembles. They also incorporated a subtle polka dot pattern on their little girl’s dress and added a cute headband to baby’s head. 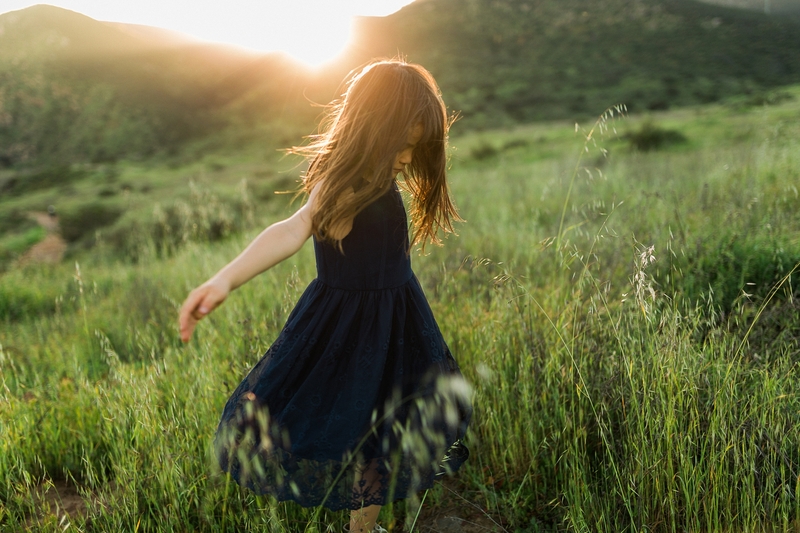 I picked up this flowy dress recently from Target and I love how it shows movement when my daughter spins around! 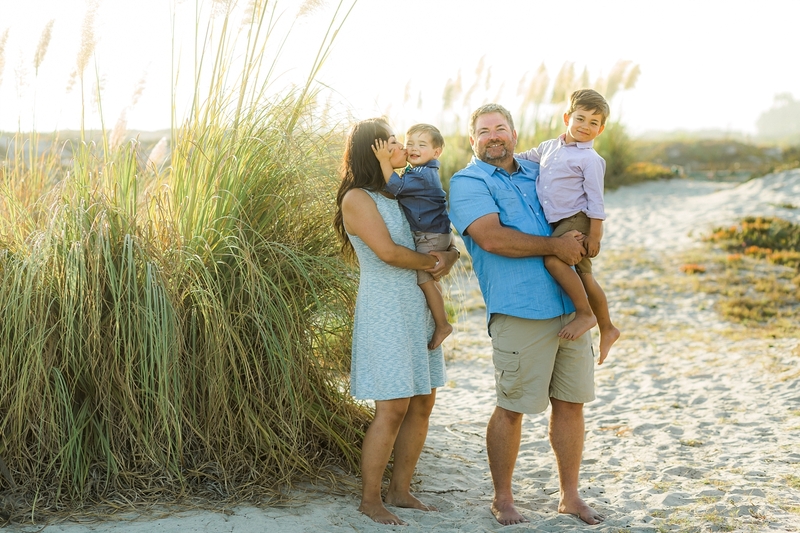 SHOES MATTER – Unless your session is a barefoot beach session, shoes matter: ankle booties / riding / lace up boots or sandals for Moms and little girls, sandals (Saltwater sandals are darling!) or Converse for toddlers, Converse/Vans or brown topsiders for boys and Dads. I love these lace up boots on these little girls! ACCESSORIZE – Moms can pull in another layer with a statement necklace or a pretty pair of earrings. Add another pop of color with a cute hair accessory such as a headband, flower clip or barrette for little girls. Hats can be fun for little girls and boys too, when chosen correctly. I love the pop of color in this little girl’s hair! HAIR & MAKE UP – If Moms can fit it into their budget, I recommend taking the time to have professional hair and make up done. I can recommend some wonderful MUA’s, some who also do hair. Another option is to use the make-up counter at the mall. MUA’s at places like Bare Minerals and Benefit will gladly do your make up with a minimum purchase of around $50, which is a win-win if you need new make-up anyway. If you work with an MUA and/or hair stylist, communication is key. Be sure to show them a photo of how you would like your make-up and hair to look. I love to use Pinterest for this. There are quite a few blow dry bars you can visit for a quick style. If you’re the type of person who likes to do your own make up and hair, by all means, have fun and experiment. Then, you can have someone take some photos of you with your iPhone so you can see what you do and do not like. I recommend having some taken of you in your outfit too so you can be sure you like how it looks on you. MAKING THE MOST OF YOUR SESSION – If you have little ones who still nap, be sure they get their naps in before your session. Even if your little ones do not nap anymore, it’s important to be sure everyone is well-rested. Well-rested means there’s a better chance of good moods all around! 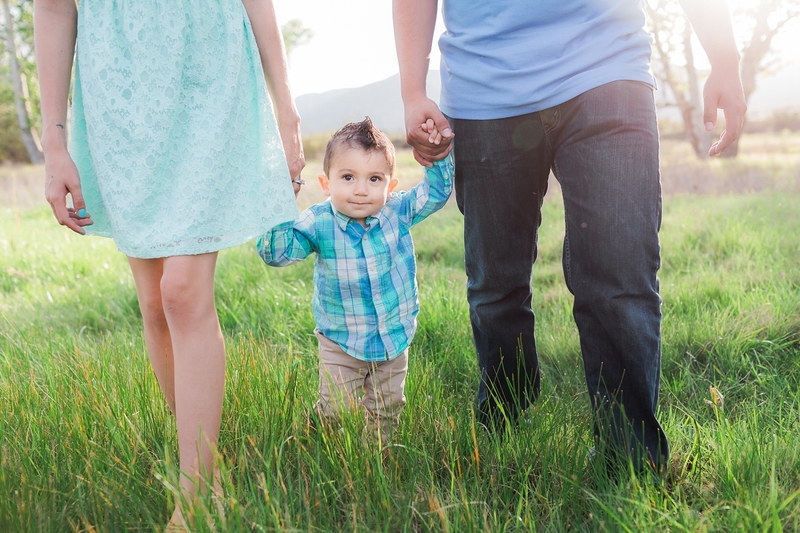 Hunger can also affect moods, so do feed your Littles a snack beforehand and bring snacks with you for your session. I don’t mind taking little snack breaks during sessions. It gives me a chance to figure out the lighting for my next set of images. One thing I do ask is that we keep our session unplugged, which means no cell phone use. During this short amount of time it helps a lot to have everyone engaged and committed to capturing great images. If children see Mom/Dad scrolling through their iPhone, what kind of message does that send to them about the importance of the session? At the end of your session, I always have kids choose a prize from my treasure chest. They love this! I want this experience to be memorable and fun so that you all will want to come back to see me year after year. SESSION STRATEGY – In addition to a phone conversation, I always send an online questionnaire to each client I work with to help me get to know them better and understand what kinds of images are desired. This is where I can find out how you would like to print your images, what areas of your home you may like to have designed with a collage, as well as any questions or concerns you may have regarding a child or Dad (ha!) who may be challenging, etc. 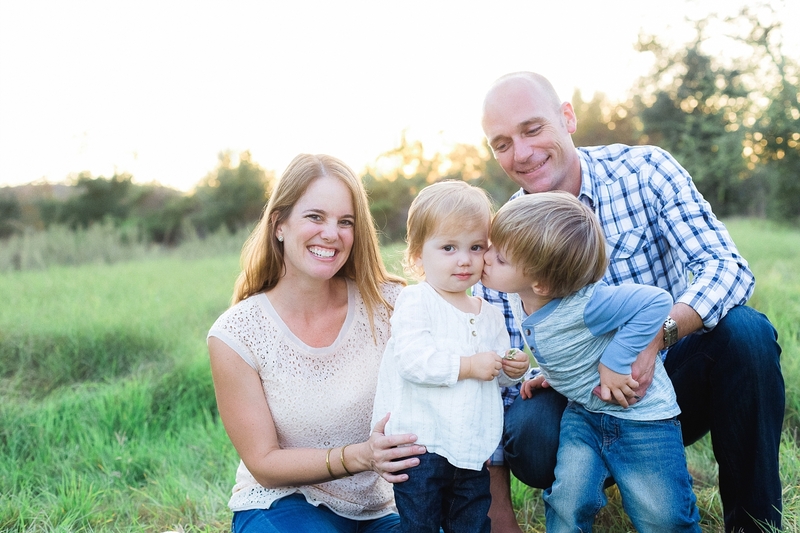 The more I know the better prepared I am to capture your family well. I’ve been faced with challenging scenarios and have been thrown some curve balls in my 5 years in business. I find a way to work on my feet and always manage to capture some great images no matter what happens. REMEMBER TO HAVE FUN – In the end, the most important thing is to relax, be comfortable, and have fun! I want all my clients to be themselves so that their true persona shows through in their images. There is no one formula one must stick to for what to wear, and rules were meant to be broken too. My advice is only offered as guidance, but it is not expected that clients have to follow all of the advice I give. I encourage Moms to go with their instincts when it comes to clothing choices for herself. She knows what she feels best in. I’m always here to help make your life a little easier but only if you need my help at all! If you need my advice, you can always send me a photo of your wardrobe laid out together so I can give you my opinion on what to keep and what to replace. I love helping clients choose what to wear. It’s one of many parts of my job that I absolutely love! 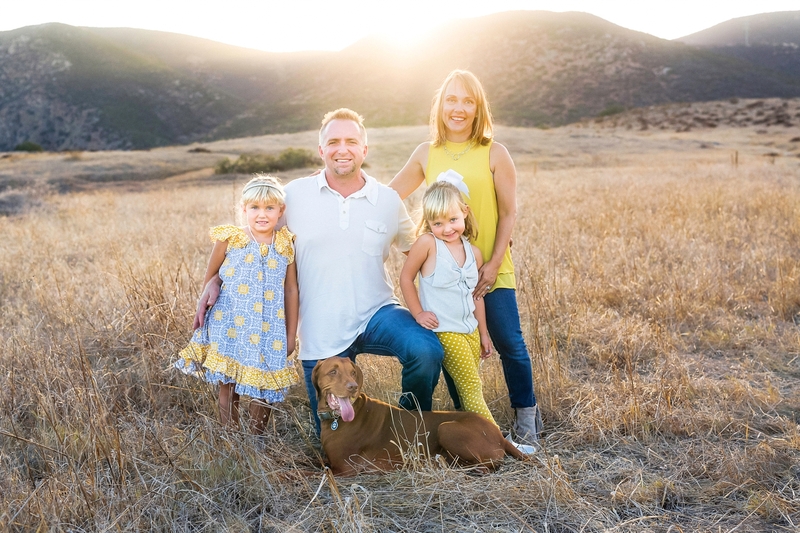 If you like what you see here and are interested in having your family portraits captured by me in the San Diego sunshine, please email me at rachelmanningphotography@gmail.com. I would love to chat with you about your photography needs and would love to help you freeze time. This is great! I love the details + your work is perfection! Such a good info! 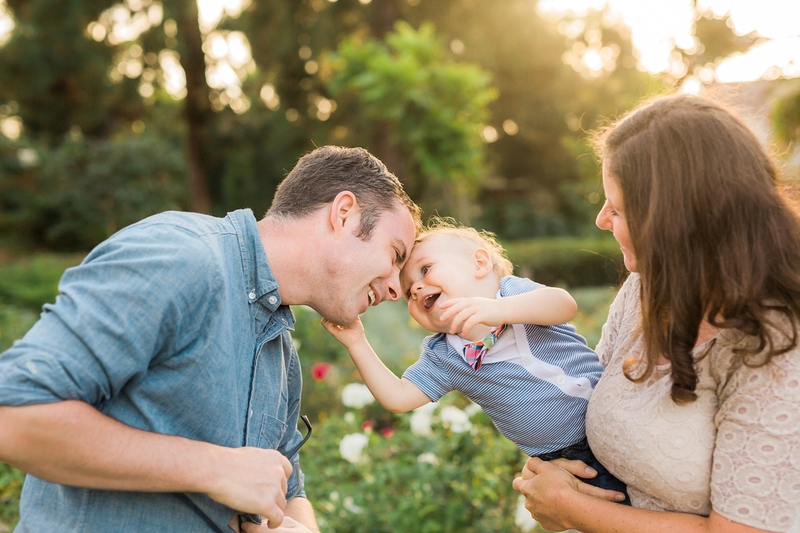 I will reffer to your article every time I am asked how to dress for the family photo session! 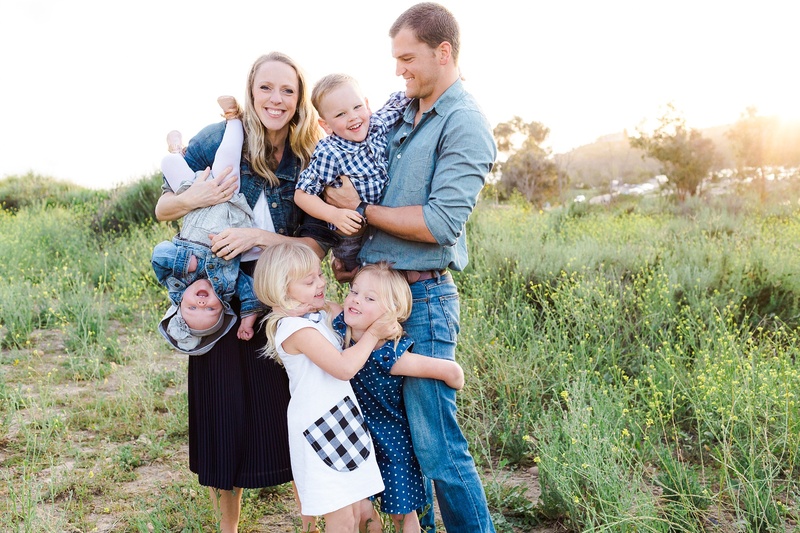 Great tips for family clients. They will love having this to refer to! Great advice!! I never think about the shoes. 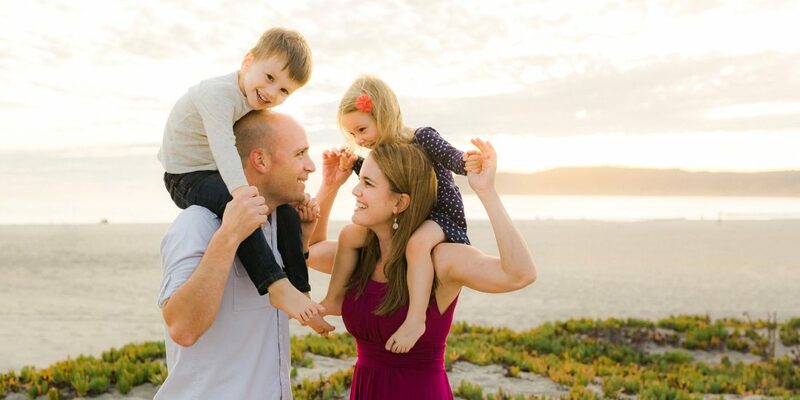 Excellent tips for parents planning a family photo session in San Diego! 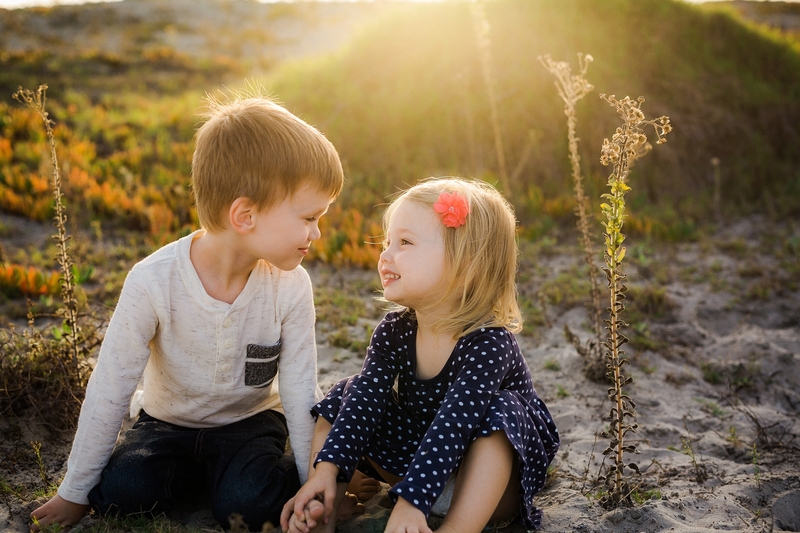 Your clents are so lucky to have you as their San Diego Family Photographer who shares such wonderful info. I love all the photos you used as examples, too! This is great post Rachel! I love the "shoes matter" part. :D I often come across that issue! Great job explaining all the details. 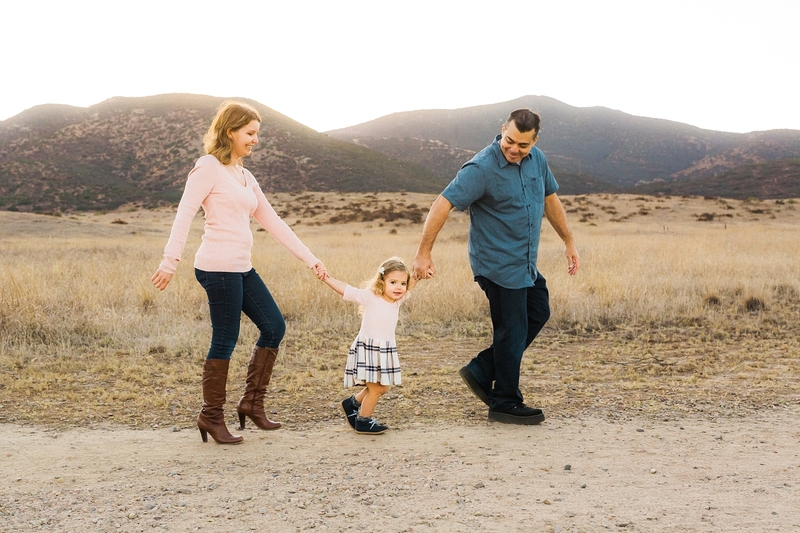 Wow - what a comprehensive guide with wonderful suggestions for what to wear to family sessions! Love the photos you used to really illustrate your points too!